Angie Communications chooses Hilversum, the Netherlands as the world's fully-functional Smart City. •	Hilversum is internationally known as Media City; almost all of Hilversum's 40,000+ households have access to Fiber •	Angie is launching a subsidized 500/500 Mbps Fiber To The Home service in Hilversum at just €30 p/m, soon to be increased to 1 Gigabit per second. Over the last few months, Angie signed agreements with strategic partners that will make Hilversum the first fully functional Smart City in the world, bringing fiber-fed wireless connectivity and Smart City solutions to Hilversum residents and businesses. Angie is pushing full steam ahead with its worldwide Wireless Gigabit and Smart City infrastructure deployments. Hilversum is the first of many cities across the world that will see Angie designing and building the most advanced fiber-fed ultra-high-speed infrastructure that finally allows cities to capitalize on "Smart Communications" opportunities. Several large technology firms will join Angie in its efforts to offer, test and analyze Internet-of-Things and Smart solutions. "Last year we agreed with the Borough of Slough in the UK to design, build and operate a Smart Communications network and system," said Neal Lachman, CEO of Angie Communications, "We had to find alternatives to Slough when the project didn't progress as we hoped and expected. We found the most ideal replacement in Hilversum. We have an almost 100% Fiber To The Home installed base with 40,000+ households, in just 17 square miles. Angie will start activating customer connections from March onward and we hope to have Hilversum fully covered with a seamless, city-wide wireless blanket by end of May, 2017." Fiber up to 100-150 yards from your home; reception at home is achieved wirelessly. "Hilversum is the Media City of the Netherlands," says Gregory Nemitz, Group COO of Angie Communications, "With its city-wide project in Hilversum, Angie is showing the world that a new era in communications has been reached and that Angie will lead the way. We're working closely with our partners to bring cutting edge technologies to all our markets. For example, our customers will have plug-and-play options available for Smart Home solutions of their choice, and we will enable the city to communicate with its citizens in the most efficient ways possible." Cities like Hilversum, however, are an exception. In most cities FTTH is not an option, which is why Angie is building fiber infrastructure deeper into the (residential) neighborhoods on scales never seen before. Last month, the company announced the "commoditization" of 10-Gigabit fiber connectivity in the USA, UK and the Netherlands. "This ultra-densification of fiber and wireless in the entire city will result in unique fiber-fed wireless Gigabit services in and around homes and businesses," said Farooq Malik, Angie's COO Americas. "Angie's markets are the first to benefit from this kind of next-generation communications and fully functional smart city infrastructures. Once installed, our 5G-primed fiber-fed networks will improve or even change lifestyles, making things more fun and convenient, and enabling more productive business and work." Angie will put a heavy emphasis on making its markets (starting with Hilversum) truly ready for more efficient city-to-community communications and operations. The company invests in unique know-how, partnerships and capital to make the city not only smart but even ultra-intelligent. 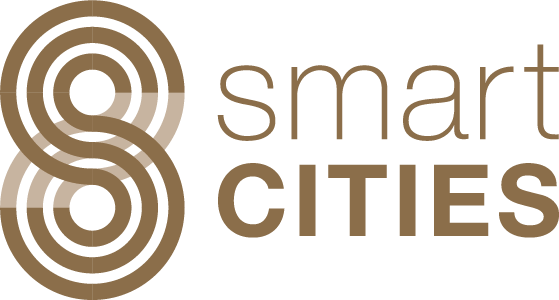 Previously, Angie published a positioning paper on Smart Cities (link) and an announcement of its Smart Cities as a Service opportunity (link). "We will bring fiber to several points in each neighborhood, even in places where it is uneconomical or expensive for the city or other operators. To deliver seamless smart city services and to offer ubiquitous smart city solutions, you first need the communications infrastructure in place," Neal Lachman continued. "This was and is lacking in most smart city projects till date. Without a high-capacity, high-speed network there will always be bottlenecks somewhere in the infrastructure. With our approach everybody wins: residents, businesses, the city, and Angie and its partners." Angie's Ultra-Intelligent Cities will instantly become exponentially efficient in terms of operations as well as save lots of money on a daily basis. Angie and select partners will develop, build, maintain and operate all infrastructure and communications means for the smart solutions, from end to end. - Real time traffic Information: accidents, diversions, traffic jams, etc. - Remote care and living monitoring for the elderly and less-abled. Remote maintenance services, social interest solutions, entertainment, shopping and restaurant feeds, etc. Angie will build the best performing city-wide ultra-intelligent Infrastructure and will offer services in modules for cities, businesses and residents to pick and choose, allowing them to pay only for what is used. Cities and their communities can benefit from ultra-intelligent services offered on Angie's infrastructure, and thus avoid large investments and other costs. With Angie appearing on the scene, a new era in the world of electronic communications has dawned as the "follow me" network is now becoming a reality. Angie will serve as an ISP as well as a "Smart Communications" solutions and service provider. The company promises its subscribers unrestricted and unlimited wireless access anytime, anywhere, anyhow - in all coverage areas. The company expects that its Smart solutions will become a must-have service that residents and businesses will love to use and share, making life easier and fun, and their work or professional life more efficient and productive. Angie's next-generation communications infrastructure will include the latest wireless technologies, including carrier-class Wi-Fi technology, to deliver services on customers' current devices. In each neighborhood, outdoor wireless access points will be directly connected to Angie's fiber optic network, strengthened by many street level access points. Industry experts are well aware that future data demand cannot be satisfied without such an ultra-dense wireless infrastructure, which will have fiber connectivity as close to the wireless and mobile user as possible. Only fiber backhaul (with multiple terabits per second connectivity) can handle the upcoming exponential growth of mobile and wireless data usage. Angie's fiber-fed wireless network is built as beyond 5G-ready; due to the connection on Angie's virtually unlimited fiber capacity which reaches into all neighborhoods, its network is 5G-primed - intelligent, connected, wired and wireless. You can watch the Wireless Extreme explainer video about Wireless Extreme, featuring Rick Barry (NBA Hall of Fame legend) here and the Wired Extreme explainer video (for building owners) here. Angie was founded by an international team of highly qualified technology professionals. Angie's team includes renowned visionaries and industry pioneers who have helped shape the 4G mobile, 5G wireless and Fiber-To-The Premises industries. Angie's founding team has a combined 500+ years of experience in business; its executive team consists of industry pioneers and experts with a combined 300 years of telecom experience. To view Angie's presentation, "Ultra-Intelligent City as a Service", please click here. Source: Angie Communications International B.V.